The second Xtreme Sports Games is set to be held on April 1, featuring 20 companies, 10 events, and a minimum of 200 participants, building on last year’s event that featured 16 companies, eight events, and 160 participants. 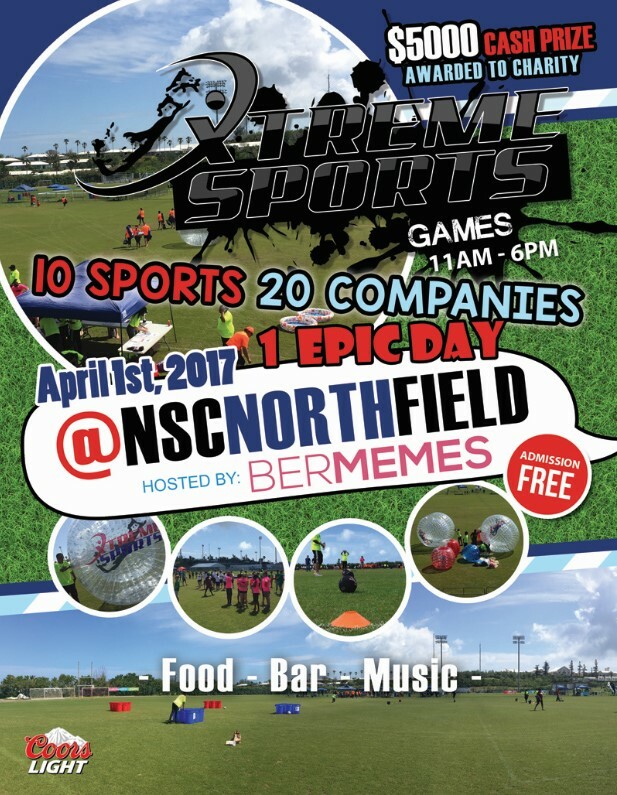 This year’s event will be held at the National Sports Centre’s North Field, from 11.00am to 6.00pm, hosted by Bermemes and featuring music, local food vendors, and more. In April 2016, Xtreme Sports launched its corporate service line with the inaugural Xtreme Sports Games, a corporate team building event. The Xtreme Sports Games featured a day of different companies competing against each other in various sports and activities, including bubble football, human bowling, slip-n-slide kickball, volley pong, zorb racing, and others. Company owner Marquel Waldron said, “Due to the success of the first Xtreme Sports Games, we’re excited to announce that we will be hosting our second in April 2017. In 2016, the event featured 16 companies, 8 events, and 160 participants. Regarding 2016 winner Anchor Investment Management Limited, Mr. Waldron said, “An integral part of the event is that each company participating is competing to win prize money for a designated charity of their choice. Windreach was Anchor’s designated charity last year, and they were presented with $4,000 which Anchor kindly agreed to match, taking the total donation to Windreach to $8,000. “As part of the Xtreme Sports’ corporate social responsibility, we understand the importance of giving back to the community, and for this year’s event, the prize money will be $5,000. “Team building activities strengthen professional relationships, improve moral and help with more efficient and effective workflow. Companies are encouraged to register their teams immediately, as the 20 available spaces in this year’s event will be awarded on a first come, first served basis. For more information, to register a team, or to become a sponsor, visit the website.